Tenman-gu shrine is dedicated to Sugawara no Michizane (845-903), a government minister and scholar of Chinese literature who was exiled there by the Fujiwara. 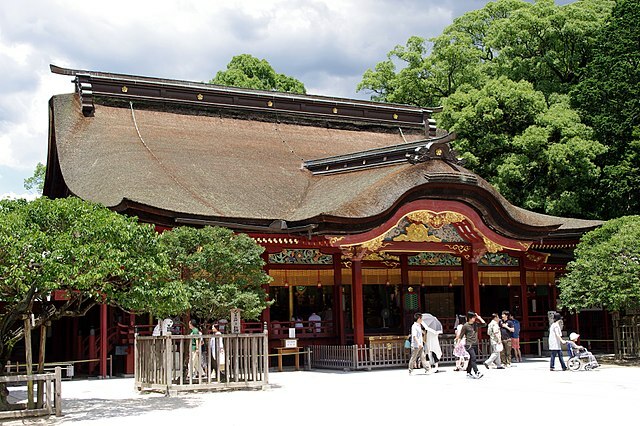 Michizane was deified posthumously as Tenjin, patron god of scholars, and the shrine was built to appease his spirit. The rebuilt honden (main building) dates from 1583 in the Momoyama period.